Close your eyes, relax and unwind. Professional strokes gently soothe and lengthen tired worn out muscles. Let all of your stress melt away while your entire body releases the worries of the week. Got tension? Whether its from sports activities or stress, we've got you covered. Come in and let us do all the work. We use a variety of techniques to really release those places you just can't quite get to. We know you've been rolling around on that foam thing...come in and let us help you. We will work to release every muscle that we can during your session. Get the relief that you've been ACHING for. The pressure is always customized just for you so we know you'll be pleased and your muscles will be ever so grateful! Couples Massage is great for anyone that wants to spend some quality relaxation time together with their special someone. Great for BFF's, mothers & daughters, or couples. chronic pain, sports injuries, back pain, sciatic pain, repetitive motion strains, chronic fatigue, migraines, hip pain, neck and jaw pain, TMJ syndrome, and plantar fasciitis. We use our proprietary system of bodywork, Woodall Advanced Bodywork to not only relieve, but reverse the the imbalances in the body that are causing the pain. 24 Hour Cancellation Policy in effect. 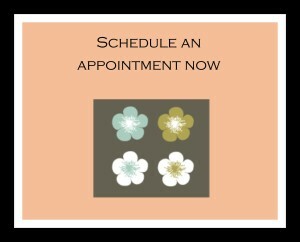 Please call to reschedule 24 hours prior to your appointment. No shows for appointments are charged for the full price of their appointment. Gift certificate and package holders forfeit the full value of the gift certificate and package hours will deducted.